This is our new rear support crossmember that replaces the old stock member when retro-fitting the 6R80 into your early Bronco. 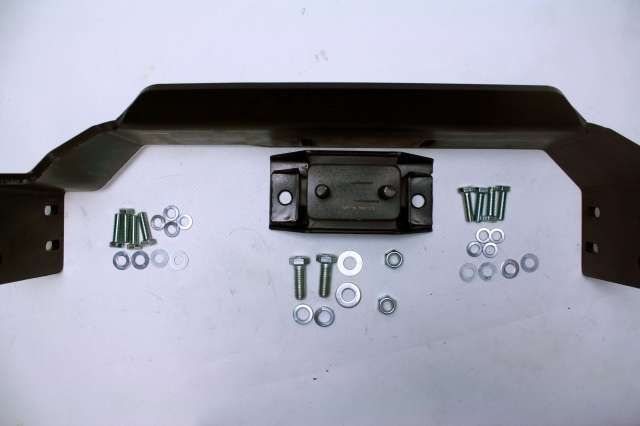 The kit includes a new crossmember, rubber mount, fastening hardware and adapter instructions. Note: Custom exhaust routing is required.